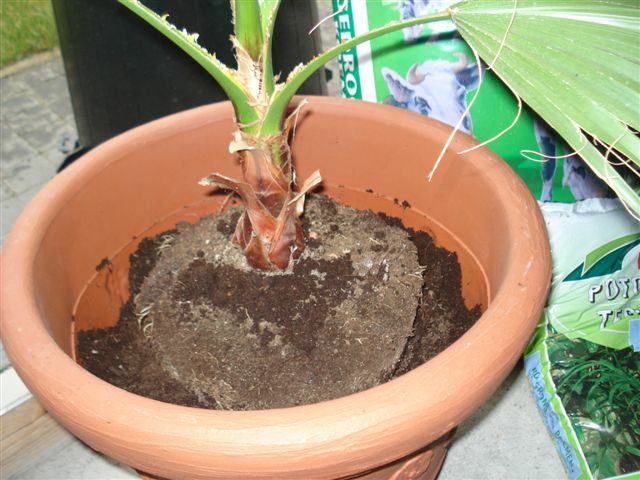 To ensure that your palm grows optimally, it is important that the roots get enough space. 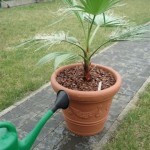 You will best repot a palm as soon as roots grow from the bottom of the container. 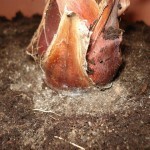 Potting in a larger pot will temporarily inhibit growth; the palm first uses its energy for the creation of new roots. 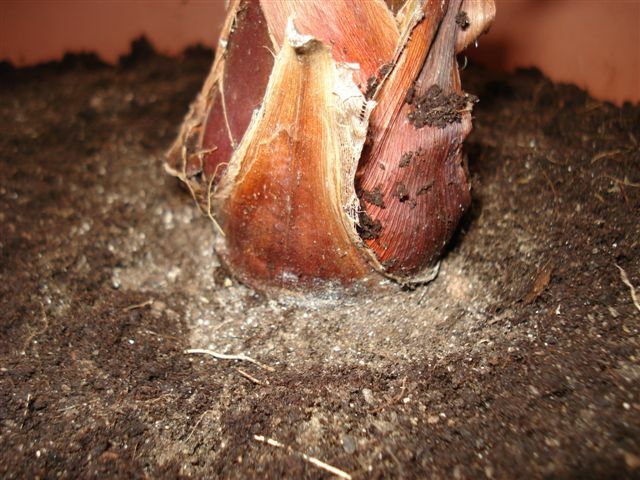 But growth will certainly increase soon afterwards. 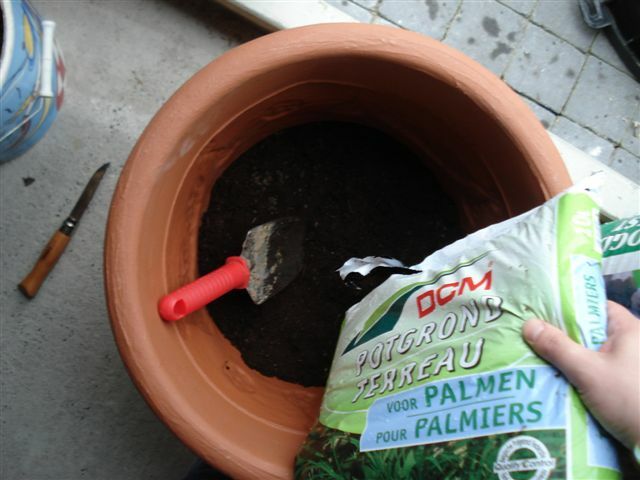 This article provides you with a visual step-by-step manual to re-pot your palm in 8 steps. 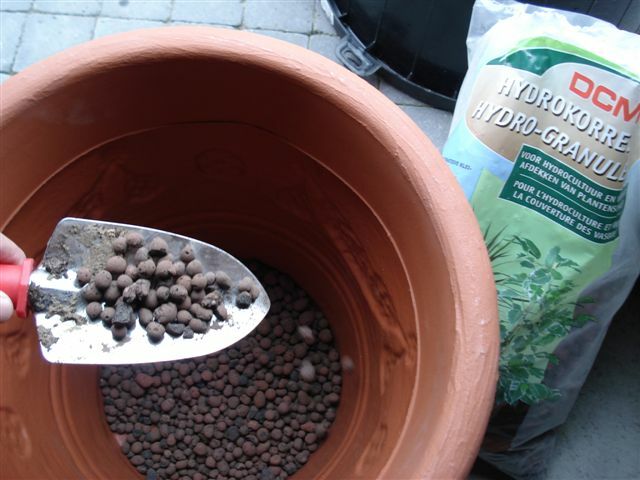 Spread a layer of hydrograins on the bottom for an optimal drainage. 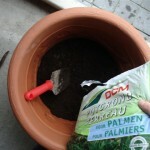 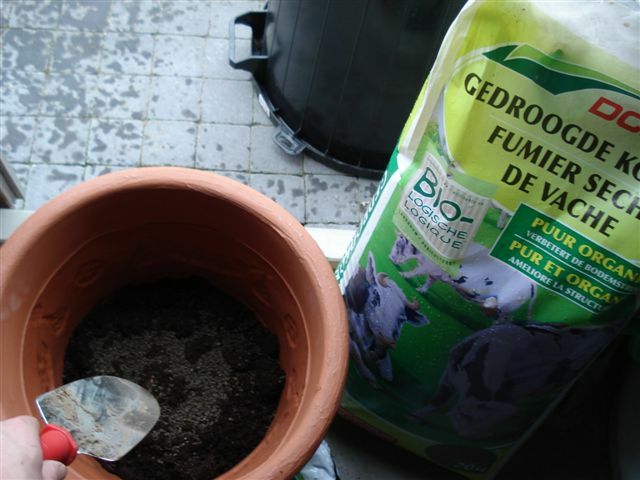 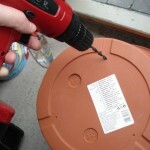 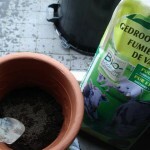 Fill the container with a good quality soil. 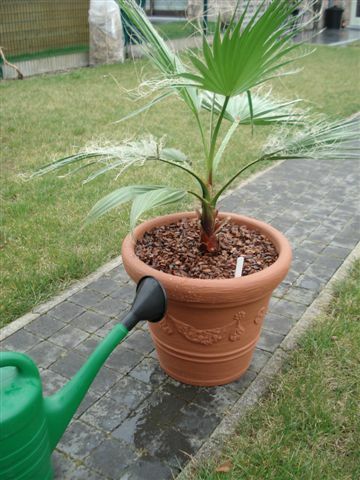 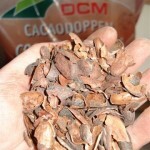 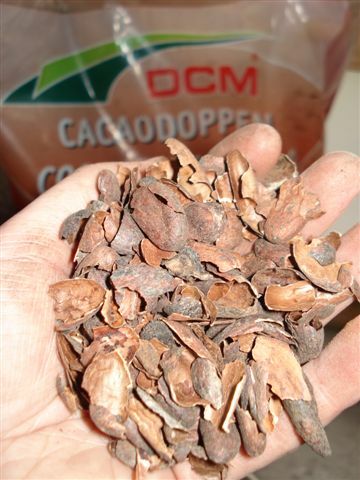 Mix in an organic fertilizer for good grow results and a healthy palm. 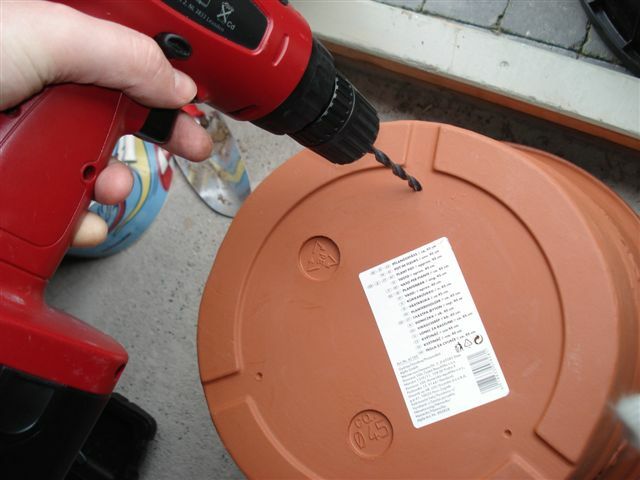 Place your bamboo in the container. 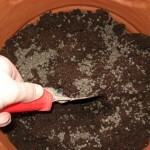 Fill up with more soil and press slightly down. 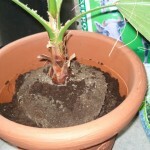 The tronc base should be maintained at the same height as it pas potted before as shown on this picture. 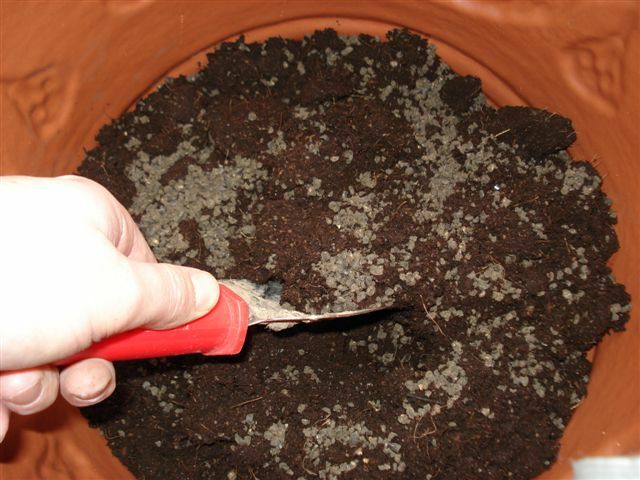 Cover up with wood chips or an other organic material to prevent weed to grow and prevent to ground from drying and as isolation. 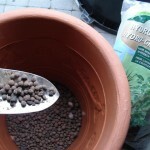 Give plenty of water till it pours out from the bottom.